This is the podcast that Matthew and Dean have been waiting for. Prepare yourselves for a wild and emotional ride as the lads relive their earliest memories of watching Braveheart in all its bloody glory. The discussion gets into the real William Wallace, the real Edward I, the real Robert the Bruce, and a lot of the politics and strife surrounding the First War for Scottish Independence. 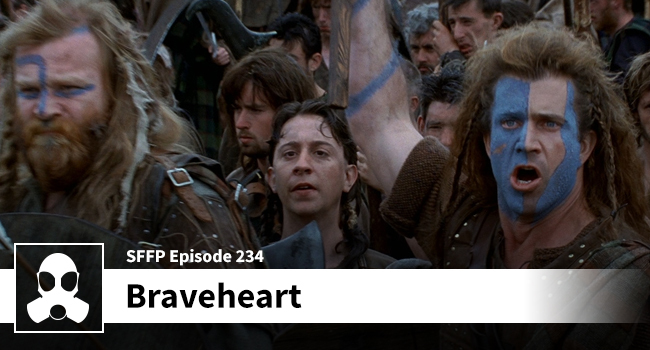 The biggest takeaway from this podcast: Braveheart has plenty of historical inconsistencies (like a ton), and it is still a powerful, captivating, and epic tale. Oh, and don’t mess with “The Hammer of the Scots” – Special shout-out to: Rex Factor Episode #32. Get through their intro and they are solid and lovely British chaps.